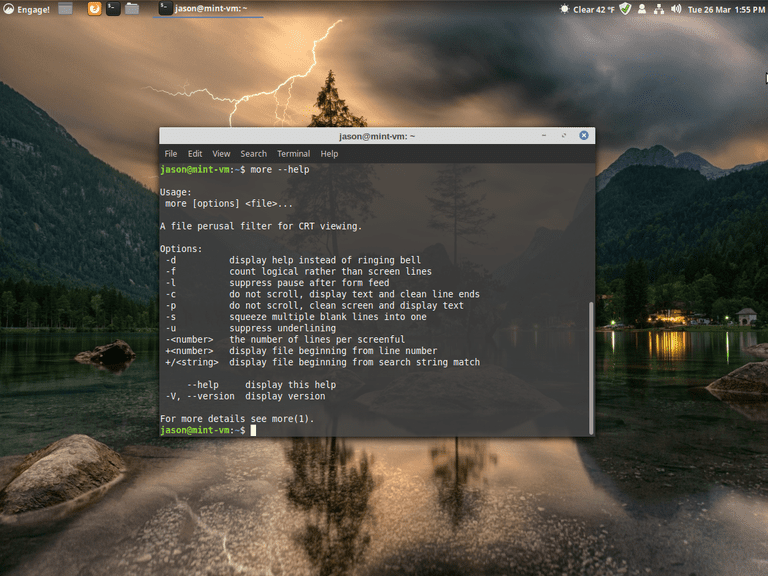 The More utility in the Linux shell accepts input from some other command, then arranges the output in a series of pages within the terminal window. This program precludes the need to scroll long lists of output. It's a standard part of any Linux installation regardless of your distribution. It's a simpler variant of the Less utility. The More command has been standard in Linux since the early days of BSD; versions of it date to 1988. More runs in two modes: First as a command-line utility, and second as an interactive program. More respects environment variables. To set standard settings (e.g., standard number of lines or pages to skip), use the MORE variable. To specify a specific editor, use the VISUAL variable. Consult the manpage for More for precise guidance. What Is the Difference Between An NIS and YP Domainname?